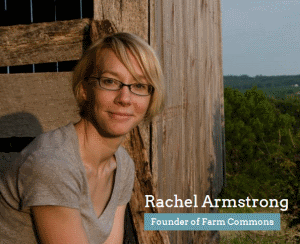 A quick message from farming attorney extraordinaire Rachel Armstrong about new resources available from Farm Commons. We all know how vital good food safety practices are to our community of farmers and eaters. But, bad things can still happen to the best of farmers. Farm Commons has just released a new, detailed guide to the legal aspects of a farm-related food safety incident. The detailed legal explanations explore the background behind the law while action points help farmers move forward with reducing their legal risk exposure. Download the food safety legal guide at our website. Or, if video works better, watch our recorded webinar on the subject. The beginning of summer also brings the beginning of farm events! From tours to festivals to dinners, farmers are developing new ways to show off their awesome operations. But, these events come with increased legal risk. Fortunately, many of these risks can be managed effectively. Farm Commons’ newly updated guide to “Hosting Safer, More Legally Secure On-Farm Events,” is now available. While learning about how things can go wrong, farmers and advocates will also find action points to help reduce legal risk exposure while having a great time. Download the on-farm events legal guide at our website. We have a webinar on the subject, too. Watch it anytime at www.farmcommons.org/webinars. Farm Commons strives to provide accurate and relevant legal information to farmers- to meet that goal we ask folks accessing our resources to provide their name, email address and location. This allows us to efficiently issue updates or corrections and to get feedback so we can constantly improve. We appreciate your help. Thanks so much and a happy growing season to everyone! Farm Commons is a nonprofit organization that provides the legal resources sustainable farmers need to become the stable, resilient foundation of a community-based food system.